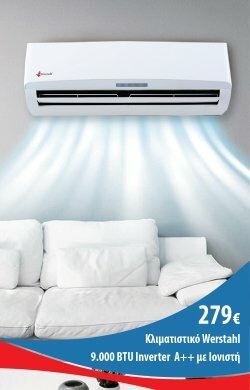 ►Reduction in gas consumption ►Longer boiler lifetime ►New generation heat exchangers ►Lost energy utilization up to 10% - High efficiency up to 107% ►Durable hydro block ►State of the art safety system ►Digital thermostat ..
WALL-HUNG CONDENSING BOILER WITH PRE-MIXING FEATURE FOR THE INSTANT PRODUCTION OF DOMESTIC HOT WATER PLUS Ultra-compactScambiatore di calore in alluminio primario7 l heating expansion vesselModulation ratio 1:5Ideale per la sostituzione in impianti con radiatori FEATURES Built-in hydraulic unit including 3-way valve, automati..
ANTEA KC (high efficiency) Antea KC is a wall-hung condensing boiler with pre-mixing feature and sealed chamber for the instant production of domestic hot water. The boiler, unlike storage tank ones, allows users instantaneous production of domestic hot water and uses condensing technology, which makes for lower consumptions, high performance..
COMBI-TECH R1K series are for the heating only units made by RADIANT. The condensing exchanger, 100% made by RADIANT, delivers unique performances and effi ciencies. The larger inner diameter of 28 mm. leads to an improved maintenance and prevents remarkably the clogging. Thanks to prestigious components, we have achieved a stunning 1:9 modula..
RIELLO Residence Condens 25 KIS 5.89 - 24.50Kw (5.065 - 21.070 kcal / h) Wall gas condensing boiler for heating and hot water made in italy. Conversion capability for LPG operation (included in the package) The key priorities of these wall-mounted boilers are simplicity in use and integrated operation. The range is available at 25 and 35 ..
RIELLO Residence Condens 35 KIS 6,80 - 33,60kw (5,848 - 28,896 kcal / h) Wall gas condensing boiler for heating and hot water made in italy. Conversion capability for LPG operation (included in the package) The key priorities of these wall-mounted boilers are simplicity in use and integrated operation. The range is available at 25 and 35 kW. ..
Daewoo Altoen DGB-160 MES 18,6kw (16.000kcal) cond..
Riello Residence Condens 25 KIS - Condensing wall ..
Daewoo Altoen DGB-200 MES 23,3kw (20.000kcal) cond..